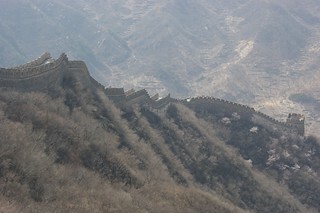 I decided once again to visit the Great Wall last May during the visit of my sister and her boyfriend in Beijing. 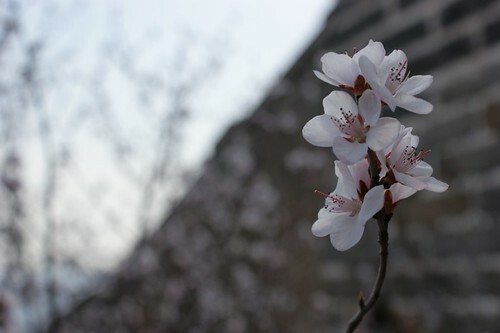 The new spot that we selected is called Huang Hua Chang, the Yellow Flower City. 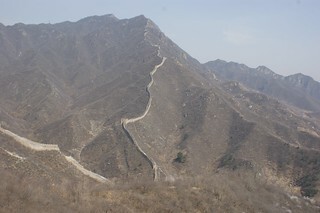 As I did during my first trip, we chose a wild part of the Wall which is not officially open to tourists. 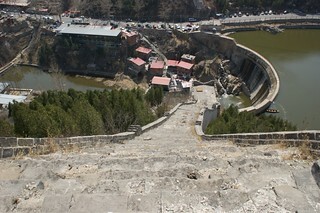 This site, located 60 km North of Beijing is really nice with a big water reservoir in the bottom of the valley. 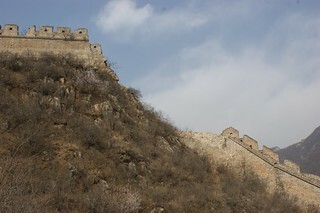 The architecture of this section is reflecting the Ming Emperors’ reigns. 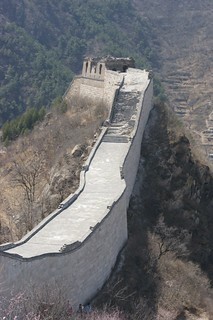 Chinese government started to renovate it couple of years ago but it was canceled after few months of working. 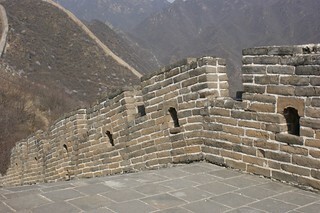 The Wall is in a good shape; it allows us to walk on it without big risks. We had our lunch break directly on the Wall with an incredible point of view on the other valley and the water reservoir. 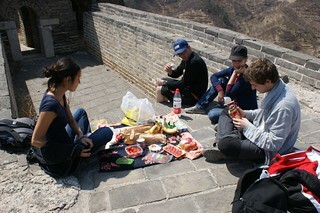 It was the right place for a French picnic: bread, cheese, tomatoes, butter, ham… A real pleasure to eat a “Jambon-beurre” on the Great Wall of China. 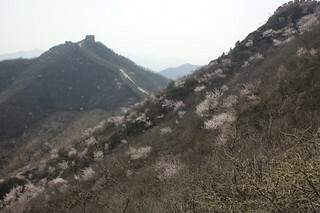 After a good time eating and sunbathing, we started our ascent to the Wall and went from guard tower to guard tower. The Wall inclination is sometimes really important. 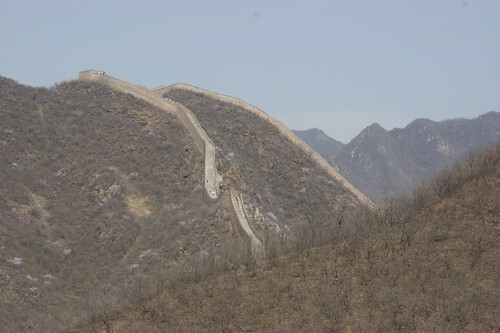 We though couple of times about the soldiers with complete armor that walked on this Wall long time ago to defend China from invaders. We started to be tired after few hours going up and down on the wall. Then, we met the most difficult ascent to the highest point of this section. 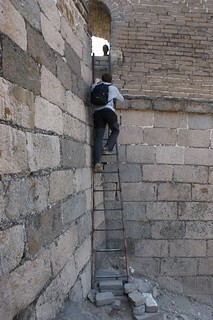 The Wall is really abrupt there and the stairs are in bad conditions. We quickly walked on all fours to assure our ascent. This is in this kind of place that you can really understand what is vertigo. We went down through a short path in the middle of the vegetation to avoid any danger. Funny story about our descent (as it always happens in China, only in China): a farmer asked us to pay 20 yuans per person to open his gate. He was strong, a bit weird and told us to go up in the mountain if we want to find another way. We agreed to pay to be able to go back to our minivan lower in the valley.